Please scroll down to the “Poll” section on this website and vote on our question about the Today newspaper. I refer to the article “Speculative bubble in property market a risk, says MAS” (CNA, Nov 9). “Despite such uncertainties in the global outlook, Singapore’s property market has taken on its own dynamic,” the report says. “Private home prices rose almost 16 per cent in the third quarter – the highest quarterly increase in almost three decades”. The question about property bubbles is whether the government should intervene, and how and when it should do so. Let’s go back in time to look at what was arguably Singapore’s first property bubble. Property rose in the 1960s to the 1990s due primarily to, in my view, government policy. As CPF savings in the early years could only be used for property purchases (not investment), it fueled a boom in the property market, because the only way to try to make your CPF grow at a higher rate of return than the CPF interest rate, was to invest in property. Moreover, the only way then to get cash out of your CPF was to sell your property at a profit, above the CPF utilised and accrued CPF interest. Although in subsequent years the policy was changed to allow CPF investments, and the withdrawal of investing profits as cash currently, property investment is the only way to get cash profits out of your CPF. Last year, the change that from 1 April 2008, the first $20,000 of the CPF Ordinary Account can no longer be invested, but can be used for housing, may only further fuel the property boom. This raises the question of whether property booms which may primarily be fueled by government policy are sustainable. Well, Singapore had one of the longest bear property markets in the world, from 1996 to 2009. It took some 13 years for the last property bear market to only recover this year. What triggered the last big property crash in 1996? Arguably, it was government policy, when Capital Gains Tax on property was introduced in 1996. In fact, it may be argued that ad-hoc, knee-jerk government policy measures to try to influence the property market may actually lead to the opposite outcomes desired. For example, when the government barred Interest Absorption Schemes (IAS), the outcome was a 16 per cent increase in property prices in the third quarter. Why? Maybe because the market perceived that the market must be very hot and bullish – when the Government takes action. What drives the private property market? 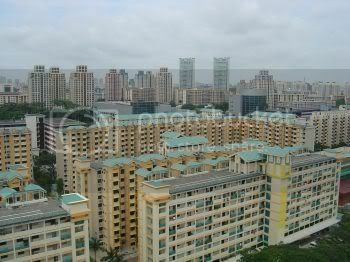 I think the HDB market plays a significant role. To what extent has the HDB’s “market subsidy pricing” policy and the huge increase in the prices of new HDB prices, contributed to the booming private property market? The policy of increasing HDB housing grants, which generally do not catch up with the increase in new HDB flat prices, may also have contributed to the rising private property market. So, perhaps the market is best left to itself, rather than too much, or too often, governmental intervention and policy changes. In my view, the government’s main role should be to provide adequate supply of land for private housing, adequate and affordable public housing. The government should not make too much money, as the more the government makes from property, the higher may be the prices that Singaporeans have to pay. In this connection, the fact that 30,770 or 7.5 per cent of HDB mortgages are in arrears over three months, may be a clear indication that affordability of public housing is an issue. As to the number declining from 33,000 last October to 30,770 now, this may be due to more HDB foreclosures and enforcement to encourage defaulting HDB mortgagors to sell in the open market because HDB will only give 90 per cent of the valuation upon compulsory acquisition.